must have passed through your mind at least once. Well, Are you sure that it was so simple and obvious for them, to share your point of view? Look at the image below for a couple of seconds. What do you see? Probably you have seen a belle epoque Parisian dancer or a grumpy old lady. 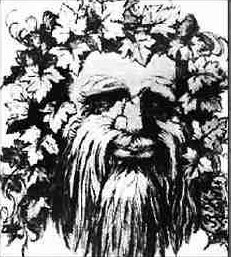 Now, please, take a look at the picture again, and try to visualize the character you have not seen before. Have you seen it this time? The chances are that you have not. Please, pay attention to the figure below. 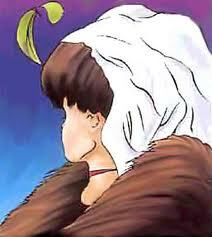 Now look again at the image in the first figure. Can you see now both the characters? 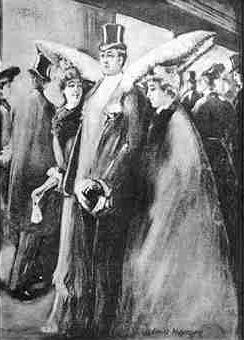 Can you see both the belle epoque Parisian dancer and the grumpy old lady? Well, this is what sometimes happens to people during discussions. Someone immediately sees the dancer, and someone else sees the old lady; that is because different people look at the same things from different point of views, from different perspectives, and with different sensibilities. So it is not that your stakeholders are strenuously and stubbornly defending their positions against your assaults, it is not that they do not want to get your point. Simply enough, your stakeholders see things in a different light, and probably, they cannot see through the curtains where your point of view lays; in the same way, as you could not see one of the two characters in the first figure, when I asked you to try. It is often useless attempting to persuade people, repeating the same line of thought many times. Instead, try to explain your point starting from something your stakeholders know, from something they see. You have to step into their cognitive space, understand it and map it in yours. This is more or less how I explained to you how to visualize both images. I started from something you saw and mapped it into the other picture. Managing discussions, meetings, stakeholders, and relationships with the presented approach, requires a good deal of time and effort. Nonetheless, it also explicitly states that you do care about other people's point of views. Indulge me a little more, and please take another quick look at the image in Figure 1. What have you seen this time? The chances are that now you have immediately identified the image you saw for second, the one that I mapped in your cognitive space. Why? Because we tend to retain more easily concepts we have worked upon, than those we have spontaneously elaborated on a whim. The phenomenon you have just experienced explains why, in the long term, working in the cognitive space of the other people is a very effective approach. Well...I am going to ask you a little more of your time. 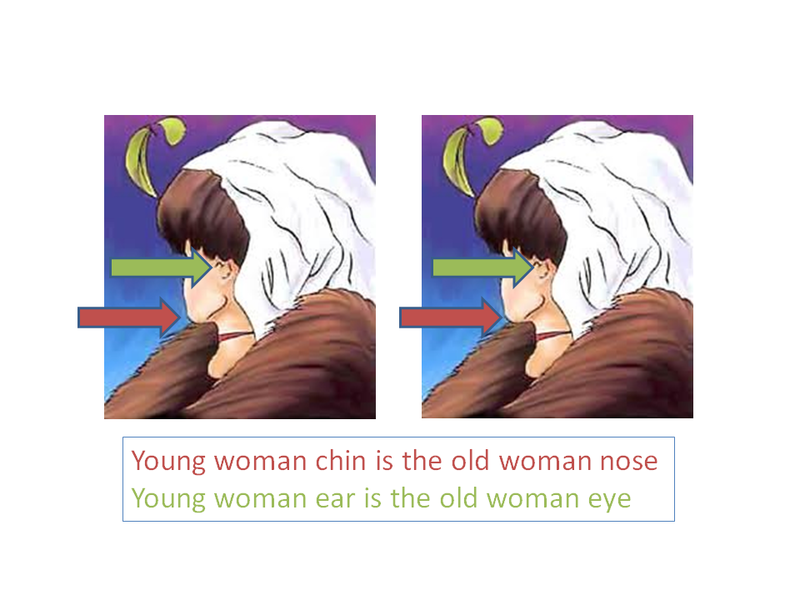 Please, take a look at the images in the first figure and try to identify alternatively both the characters. The more you get used to identify the different characters in the first figure, the more you find it easy, and the more you are able to do it quickly. In the same way, the more you get used in joining people in their cognitive space and mapping it in yours, the more you will be able to explain your point of view to other people and understand their. Bacchus or two lovers kissing? High society or a donkey? 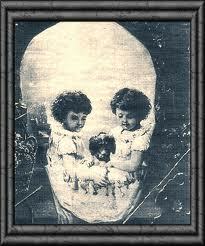 A skull or two little girls with a puppy? In my last post I dealt with the stakeholder register, I described its importance in project management activities and offered some suggestions for its filling. stakeholders identification processes are of the greatest importance for a project and so are stakeholders information gathering activities, though this is just the starting point for effective stakeholders management. In the following of the post I will give just some tips (or I should say some crumbs) to avoid that everything become too unbalanced towards the documentation part, casting a shadow on the human aspect of these processes. Usually many of your stakeholders belong to your professional network and in many cases, well, they are your professional network. Therefore it is extremely important the protection of your relationships and an effective management of their expectations. There will come the time in which, as a project manager, you will need your stakeholders help, support and contribution to deliver succesfully your project. Try to build and mantain loyal relationships with them through sincerity, sense of belonging, trust, consistency of performance, … relationships that go far beyond reciprocal satisfaction. Relationships based on reciprocal satisfaction are about what they can do for you, or what you can do for them, if you see it the other way round. A relationship based on loyalty is about what you can build together. I have found extremely inspiring about loyal relationships a speech given by James Kane that I attended to the last PMI North America Global congress and this book by Simon Sinek. They are individuals not just entries in a dedicated register. Group them together according to some criterion is definitely useful and convenient for generic project management activities, but this is just a modelization of reality. They are not a group. They do not want to be a group. They want to be individuals and they deserve to be treated like that. They are men and women with their complexities, beliefs, needs and expectations. So respect their individualities. There is not such a thing like one size fits all stakeholder management and communication. They are people that can add great value to your project and all you have to do is listen to them (well...maybe it is a little more difficult than that...but this is a good start). Help them to express their potential, help them to enrich your project with their contributions and work together to build something unique. Managing requirements is about incorporate some characteristics in project deliverables. Managing expectations has a far more broader meaning. It is about deliver to stakeholders the benefits they expect through project deliverables. This obviously has a lot to do also with your stakeholders needs understanding, project insight and vision, as I pointed in this my old post.